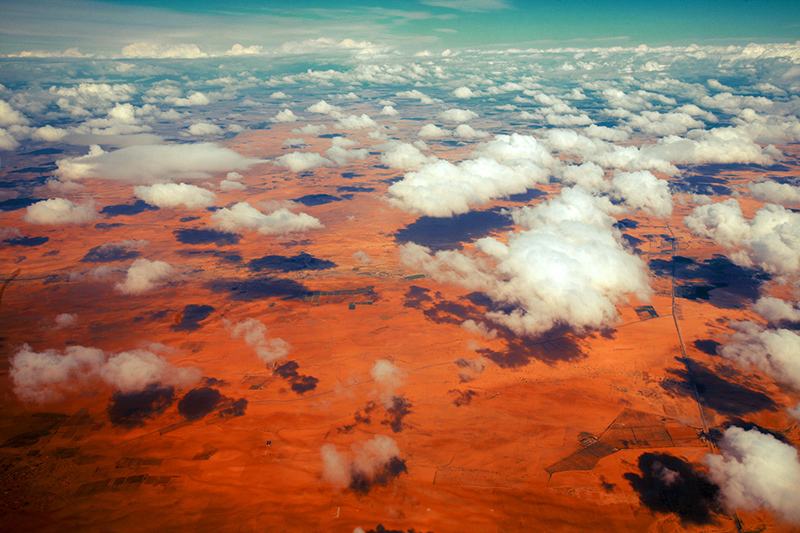 Flying over North Africa and into the red heart of the Sahara. I love these landscape colours and the clouds casting their much welcomed shadows over the baking red earth, so beautiful Morocco. Limited edition fine art print of run of 50. Limited edition print signed and numbered by the artist available here.